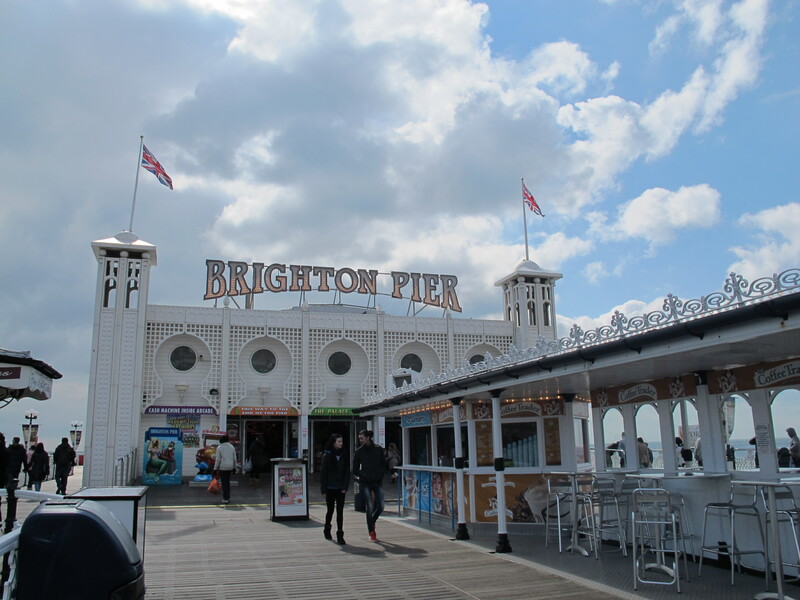 Brighton is an ideal day trip from London, it’s only an hour away and you get to see the sea! So when I saw a return train ticket for £6 I didn’t have to think twice. By some miracle when I arrived it was sunny. Like, with actual sun. From the sky. So I headed straight down to Brighton Pier to watch the sea for a while. 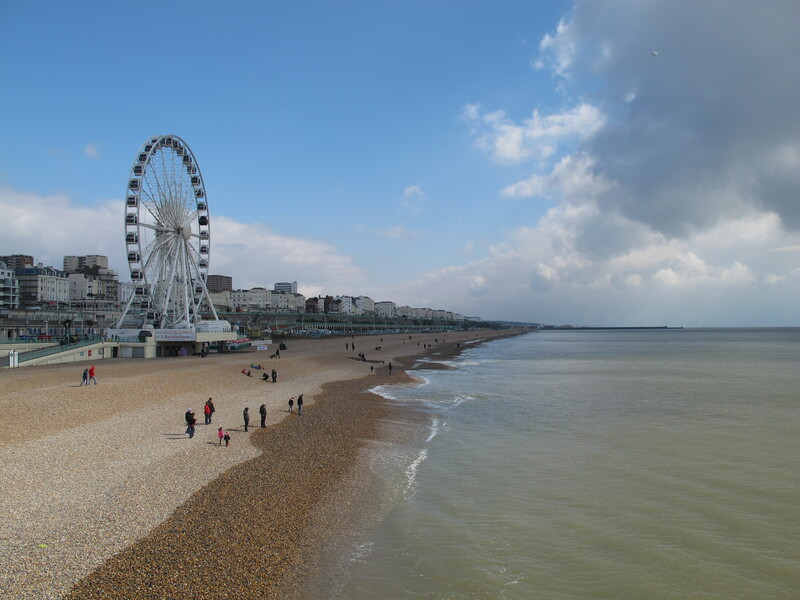 To get to the end of the Pier you have to go through an amusement arcade or two – I was quite cynical about the noise, bright lights and obese children until I came across the iPhone games. They had large scale versions of Fruit Ninja, Temple Run and Bejewelled, exactly like the ones on your phone except massive. So I parted with some gold coins and kicked some arse. My hours of playing on my phone had not been in vain, I won so many tokens that I could exchange them for not one, not two, but THREE union jack pencils. Like a boss. When the weather turned (snow, don’t even get me started) I hid myself away in the Brighton Museum & Art Gallery. It is a perfectly contained and very British museum. It changes from art deco furniture to Egyptology in a heartbeat – what turn of the century bedroom set isn’t improved by a couple of mummies nearby. As well as the expected history of Brighton, I also found rooms dedicated to ceramics, fashion, cinema and ‘performance’. Its quite funny to go back to a more Kiwi scale after months of hanging out in the V&A, but lovely nonetheless. 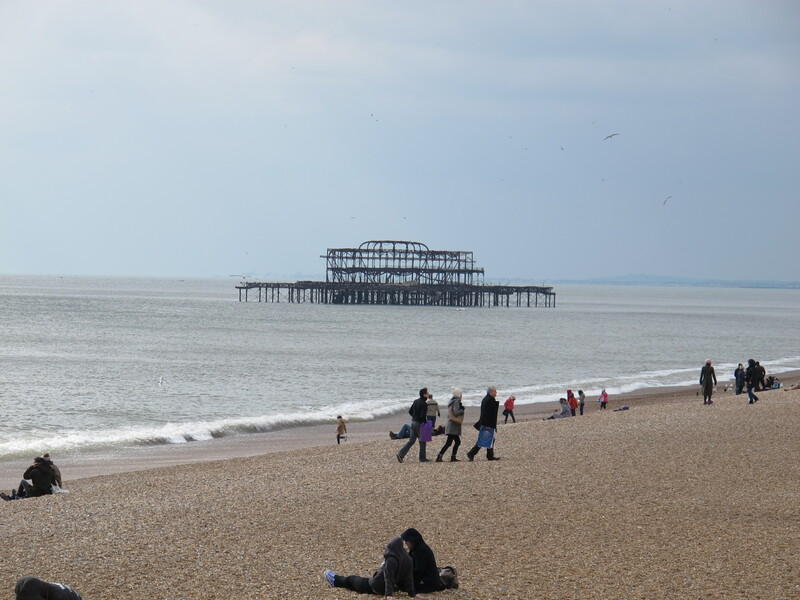 No Brighton day is complete without fish and chips on the beach. Although, just to warn you the beach is made out of pebbles. Not comfortable to walk or sit on, but fabulous for skipping over a calm sea. But in winter you get to enjoy the full warming impact of doughnuts on the pier! Ha ha that is true. And to experience Britain properly you have to have a few ice cold seaside visits! That looks fantastic! I will put it on my list.